Somehow both the original novel by Joan Lindsay and the subsequent cult film by Peter Weir (1975) of the Australian `ghost’ story, Picnic at Hanging Rock escaped me. I don’t know how this happened since the film seemed to be on everybody’s lips at a certain time. So I came to this stage adaptation almost completely cold, that is fresh, open to whatever was going to be put before me. And to be honest, I left more or less left in similar fashion. Fascinated by underwhelmed. 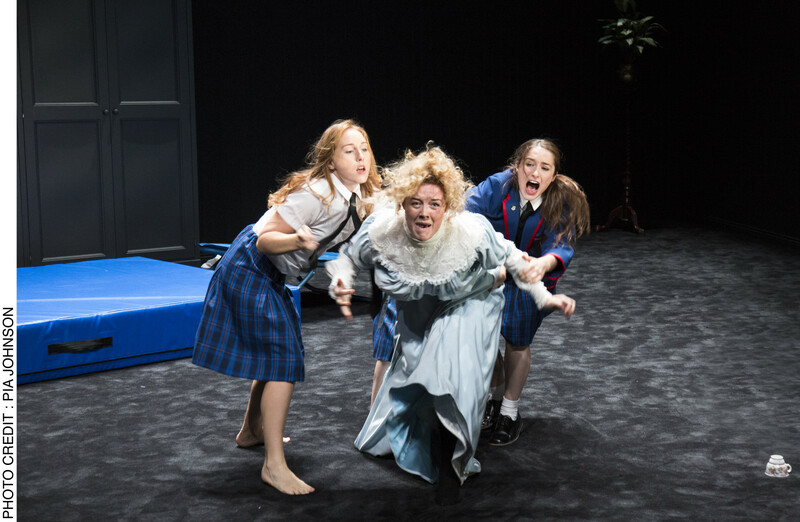 Victoria’s Malthouse Theatre and Black Swan Theatre’s joint production does have its moments of scariness and there are fine, spirited performances from its quintet of female actors. 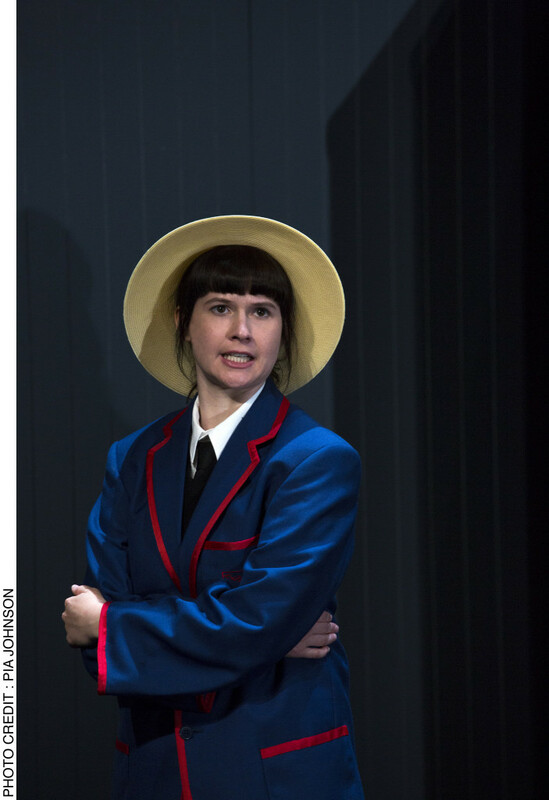 Director Matthew Lutton presents us with a line-up of five schoolgirls in typical English school uniform – Miranda, Marion, Edith, Sara and Irma. The story, as you may remember – or not – concerns the `disappearance’ on St Valentine’s Day in 1900, of three schoolgirls and their teacher from their English style girls boarding school whilst on a picnic to an extinct volcano, once aboriginal land but now known in English as Hanging Rock. A mystery unexplained to this day. Strange events happen and sensations are felt in these vast territories and from reading the programme notes, it’s clear that something unsettling, primeval even, can be transmitted by the natural forces that inhabit this land. Sadly, little of these extra-sensory, awe-inspiring factors are felt in Lutton’s production entombed within its sparse, grey wooden `V’ dominated by a large mound of brown shrubbery symbolising the Rock. © Pia Johnson, Harriet Gordon-Anderson describing how the three girls and the teacher just `disappeared’ as if in `a dream’ at the Rock, to two other girls – Amber McMahon and Arielle Gray. The story it seems can be read as an allegory. No one quite knows for sure whether Joan Lindsay’s original novel (written in 1967) was based on an actual event or pure fiction. Teasingly, the author herself was ambiguous on the subject. But in subsequent decades all kinds of debates and analyses have been created from it – not least that as an allegory, it suggests the discomfiture of the English colonialists and their inability to adapt to the country they colonised. Lutton’s production is particularly strange in its absence of anything suggesting the existence or historical life of the indigenous peoples the settlers displaced. Lindsay herself apparently hardly referred to them although she did introduce an aboriginal `tracker’, if fleetingly. Perhaps the very fact that Lutton so excludes any reference to them and exaggerates the English accents of his cast is comment enough – if you can take from absence an extra meaning. But a sense of overlaying of cultures certainly goes missing despite a cast whose physical presence certainly holds the attention – particularly the strange, twisted postures adopted by Sara (Arielle Gray), with knees and bones protruding as if a skeleton found in the desert, desiccated by the heat of the sun. Undergoing various gender and role changes, the characterisations yet remain elusive, swallowed up in the general melee rather than clarified and filled out. In recent decades, the adaptation of novels to stage has been one of British theatre’s success stories. From the RSC’s Nicholas Nickleby through Mike Alfreds’ Shared Experience, the secret of these stage productions has lain in their physicality and ability to create rounded personalities through whom the narrative is carried and with whom audiences can identify. 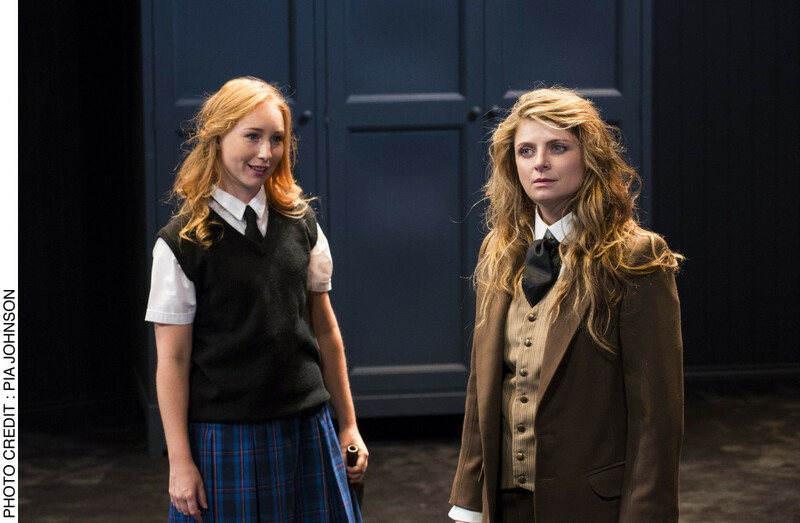 Too often in this production of Picnic at Hanging Rock, we are left with delivery of the narrative and a riot of reactions whilst the brooding atmosphere of the Rock and its supernatural effects on the schoolgirls, their teachers and the locals is left to the growling, thunderclap of Ash Gibson Greig’s sound score. It all makes for a curiously admirable, well constructed but unmoving 85 minutes. You can see the artistry, admire moments and feel some of the uncomfortable juxtapositions of human beings barely capable of understanding how Nature and its ancestry is bearing down upon them. The words themselves and the descriptions are cause for wonder – and fear. But, sadly, they are not sufficient here to create a dynamic or shattering impact and unusually so in that Australian theatre companies who have visited in recent years – particularly Sydney’s Belvoir St Theatre – have set a benchmark of such high expectation. Here’s hoping for better next time. A Malthouse Theatre and Black Swan State Theatre Company production. Supported by the Victorian Government through Creative Victoria. First perf of this production of Picnic at Hanging Rock at the Barbican, Feb 21, 2018. 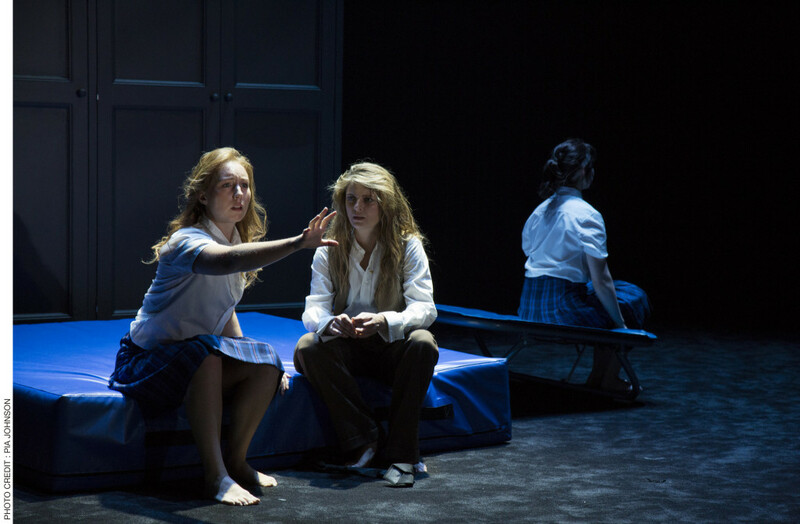 This entry was posted in 2018, Reviews and tagged aboriginal lands, Barbican Theatre, Black Swan State Theatre Company, fact or fiction, Joan Lindsay, Malthouse Theatre, Matthew Lutton, myth-making, Nature imposing strange forces, Peter Weir film, school girl disappearances, the supernatural, Tom Wright on February 23, 2018 by Carole Woddis.